Crash Bandicoot N. Sane Trilogy will debut within two days and the status of its exclusivity is still unclear. Now, new clues have emerged that seem to indicate how it should be a matter of time before the announcement of a version for Xbox One will be made. What we refer to is that SuperGamer, a video game retail store from Hungary, uploaded a product page starting that Crash Bandicoot: N. Sane Trilogy is on its way to Xbox One. The store claims that this version will debut on December 8th, 2017; however, it is likely to be no more than a tentative date. Sadly, the site does not give us more information about this possible launch. That said, we remind you that this is not official information and it is better to wait for an announcement from Activision before taking for granted the arrival of the game to other platforms. 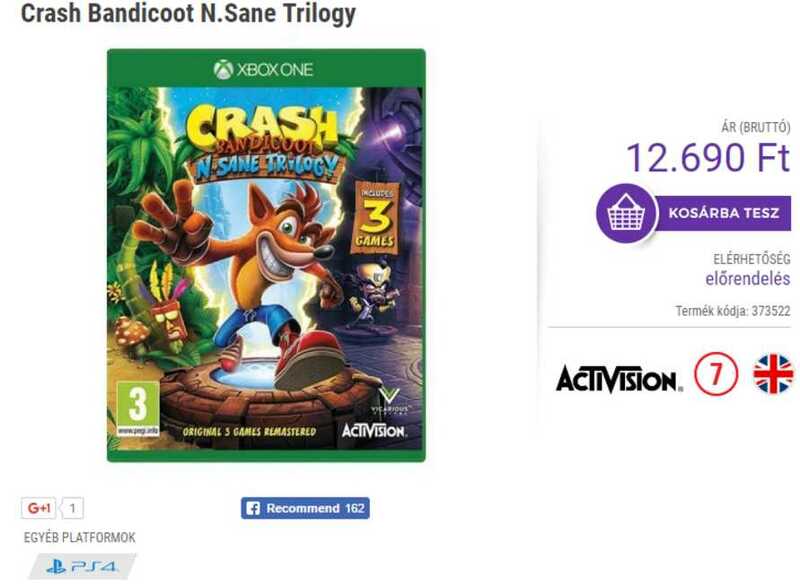 This is not the first time that Crash Bandicoot N. Sane Trilogy’s PlayStation exclusivity was questioned. A few months ago, a fan discovered that Best Buy Canada claimed that the game is a temporary exclusive. What’s a fact is that Crash Bandicoot N. Sane Trilogy will debut on June 30th for PlayStation 4 with support for Pro hardware. 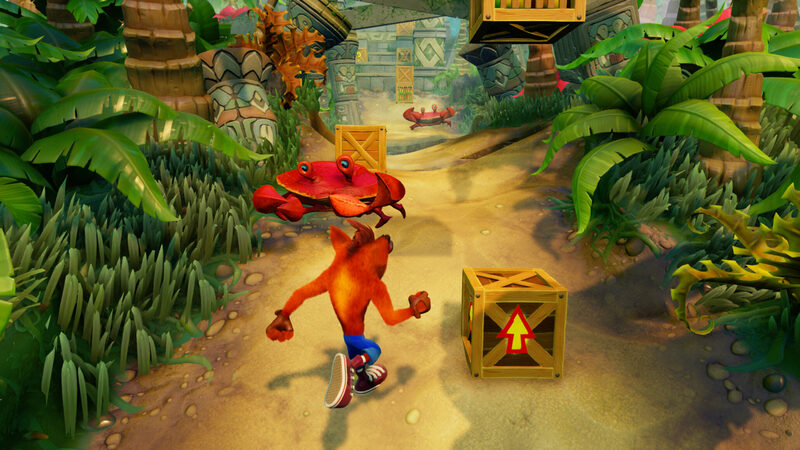 As you might already know, Crash Bandicoot N. Sane Trilogy has a package that includes new versions of Crash Bandicoot, Crash Bandicoot 2: Wrath of Cortex and Crash Bandicoot 3: Warped, all looking and sounding better than ever. Those will not be the only novelties since the trilogy will also have a new playable character, and it seems that it will receive downloadable content as well. It is worth mentioning that Crash Bandicoot N. Sane Trilogy was announced last year at the PlayStation Experience event, to celebrate the franchise’s twentieth anniversary.